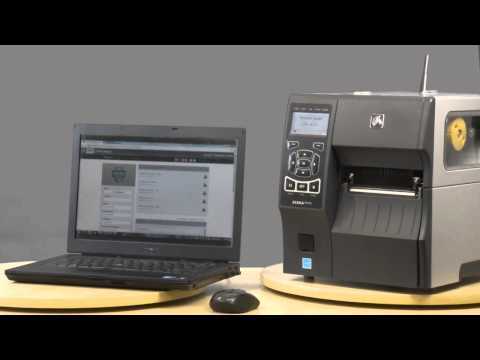 Zebra ZT410 Printer - Big Sales, Big Inventory and Same Day Shipping! Keep your critical operations running efficiently with Zebra"s durable ZT410 Series printers, designed for years of performance in a wide array of applications. ZT400: ZT410, Thermal transfer Printing, 203 dpi, 4" print width, USB/RS-232/Ethernet/Bluetooth interfaces, Cutter, EPL, ZPL. ZT400: ZT410, Thermal Transfer Printing, 203 dpi, 4" print width, USB 2.0, RS-232 Serial, Tear Bar, 10/100 Ethernet, Bluetooth 2.1, EPL, ZPL, 203 dpi, US power cord, This model replaced the Zebra ZM400. ZT410, Thermal transfer printing, 300 DPI, 4" print width, USB/RS-232/Ethernet/Bluetooth, EPL/ZPL Programming Language, Tear bar, US power cord. Z-Select 4000T, 3.25" x 5,831" Thermal transfer paper label. Continuous roll. 6 roll/case. Also available as a roll (Part# 72287-R). Z-Select 4000T, 2.25" x 2" Thermal transfer paper label. 3,292 labels/roll. 4 roll case. Also available as a roll (Part# 800622-205-R). Z-Select 4000T All-Temp, 4" x 6.50" Thermal transfer paper label. Not perforated. 880 labels/roll. 4 roll case. Z-Select 4000T, 4" x 5,594" Thermal transfer paper label. Continuous roll. 4 roll case. Also available as a roll (Part# 98962-R). Z-Select 4000T, 2.75" x 1.25" Thermal transfer paper label. Not perforated. 4,240 labels/roll, single roll. Also available as a roll (Part# 72282-R). 5586 Premium Wax-Resin, 1.57" x 1,476' Black Wax-Resin Ribbon. Compatible with Industrial Printers. 6 ribbon case. Used with polypropylene labels. Also available as a single roll (Part# 05586BK04045-R).